Gibson Home Luxton 20-Piece Flatware Set, Brush Finish Only $15 + FREE Store Pick Up! You are here: Home / Great Deals / Gibson Home Luxton 20-Piece Flatware Set, Brush Finish Only $15 + FREE Store Pick Up! I just found this awesome clearance deal on this Gibson Home Luxton 20-Piece Flatware Set, Brush Finish, reduced to only $15 + FREE Store Pick Up! 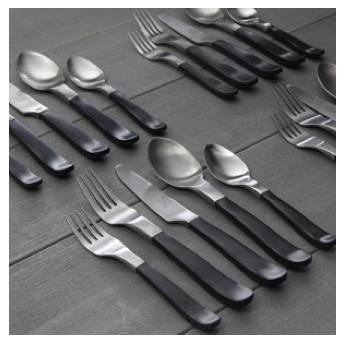 The Gibson Home Luxton 20-Piece Flatware Set complements any table setting. Each piece is made of durable brush finish stainless steel and is dishwasher safe, providing for easy cleanup. This stainless steel flatware set includes four salad forks, four dinner forks, four dinner knives, four dinner spoons and four teaspoons.